Shri Ram Nath Kovind’s selection to become the next President of India was a tightly kept secret that only a handful knew. So when this was announced it was total surprise for everyone. Over the broad two month search process, many expected names did the rounds, but Shri Kovind’s name was never mentioned. 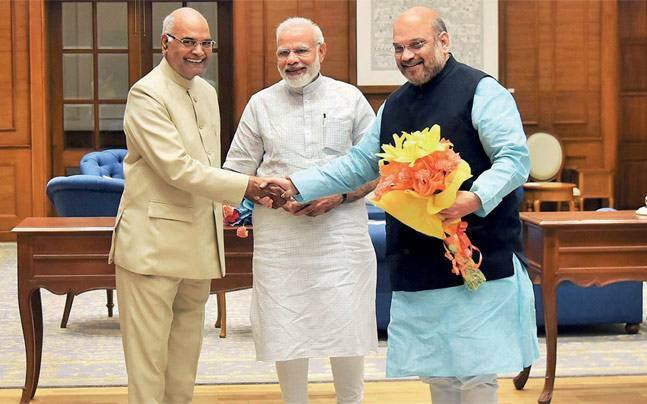 Shri Kovind, from Kanpur in UP, was spotted by the BJP leadership during the run up to the 2014 Loks Sabha elections. He gave up his personal interests to become an MP for party work and to canvas Dalit voters. During the Bihar elections, PM Modi spoke highly of him. So there were some hints but otherwise this decision, while a very good one, came as a total surprise.